As Managing Director for Business Development, Keith Fischer is responsible for growing the platform investment in the United States water space made by J.P. Morgan’s IIF infrastructure fund. Mr. Fischer is a senior member of the Executive Leadership team that establishes and drives the mission and values of the company as well as the strategic vision. The company’s mission is centered on their stewardship of the world’s most precious resource, water. SouthWest Water has a foundation of published values that support this stewardship. All employees and associates are dedicated to the values of Safety, Stewardship of the Environment, Customer Care, Employee Success, and Community Citizenship while serving the over half a million customers of water and sewer in California, Texas, Alabama, Oklahoma, and South Carolina. Mr. Fischer joined SouthWest Water in 2011. 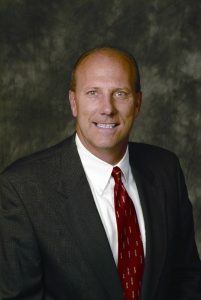 Prior to his current position, he served as President/Managing Director of Suburban Water Systems near Los Angeles, CA for two years with full responsibility for water service to over 300,000 residents under the regulation of the California Public Utility Commission. His first responsibility with the company was President of SWWC Services, Inc. where he oversaw all non-regulated water utility operations in seven states from coast to coast. He successfully developed and led the corporate initiative to exit all the non-regulated services businesses in 2012. He has 38 years of experience in utilities, engineering, development, and construction related companies including serving as President for one of North America’s largest providers of custom engineered building solutions for municipal, governmental and non-residential construction. Mr. Fischer earned a bachelor’s degree in Civil Engineering from the University of Missouri, attained advanced studies in leadership throughout his career, and is a registered Professional Engineer in the State of Missouri. During his professional career he has been a member of ASCE, NSPE, NAWC, CWA, AWWA, and numerous community and professional associations.